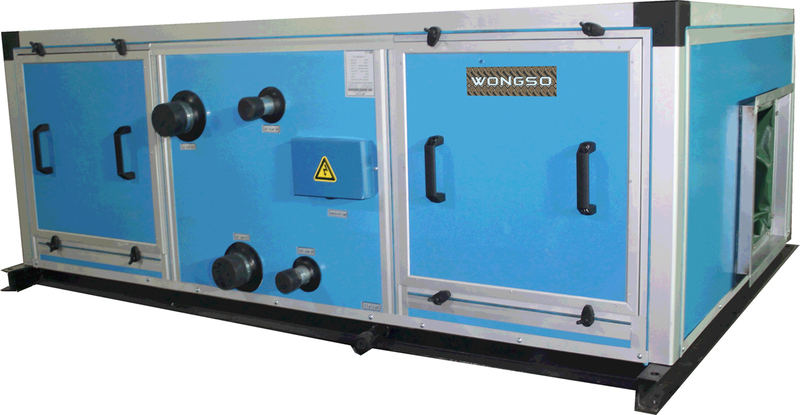 Wongso Air Handling Unit (WAHU Series) has cooling capacity from 50,000 Btu/hr until 1,700,000 Btu/hr. WAHU Series has air flow range from 1,500 CFM until 37,000 CFM. 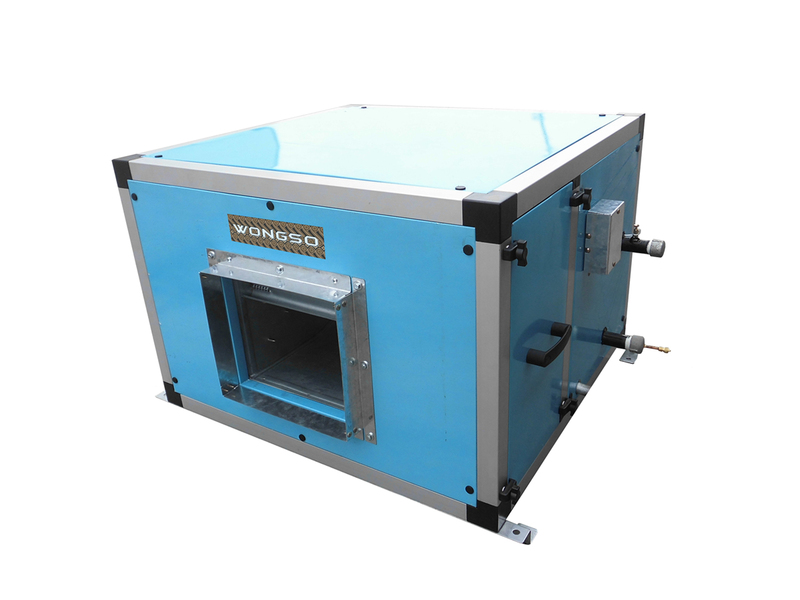 This unit is designed to a high engineering standard to provide the requirements of ventilation, heating, cooling, de-humidification and air distribution to a conditioned space. Air Handling Units are applicable for indoor and outdoor installation and they are ideal for large halls, schools, offices, banks, workshops, laboratories, restaurants, cinemas, hospitals, department stores, mosques and super markets, etc.